Dr. Craig Wilson, Director of the University of Alabama at Birmingham Sparkman Center for Global Health, gave a lecture as a part of the Global Health Institute Seminar Series. 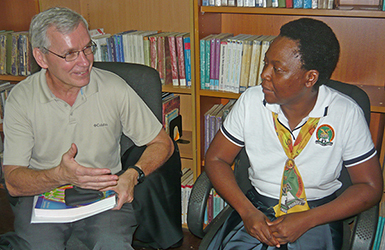 His lecture focused on not only his success in training health care workers, but also his explanation concerning the need to train more health care workers at all levels, focusing on assessments and approaches in Zambia and the development of e-learning tools. Listen to Wilson’s lecture.